Many high school students are considering higher education, but before they even begin applying to colleges, students need to take the ACT. To improve their chances of earning a high score on the ACT, there are several resources that may help students prepare for success such as the after school program. During the after school program at NCHS, Mrs. McClung provides ACT prep for English on Wednesdays and Mrs. Cooper provides ACT prep for math on Thursdays. One site that provides ACT prep is March 2 Success at https://www.march2success.com/. This site provides practice tests and quizzes for math, science, and English. It also gives information on admissions and financing for certain universities. Another helpful resource is the official ACT website: http://www.act.org/content/act/en/products-and-services/the-act.html. 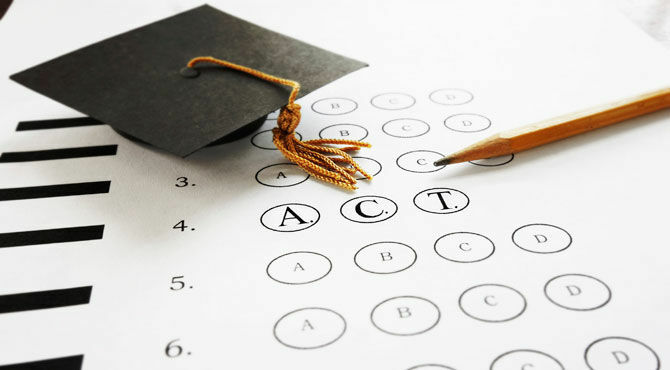 This site lists the dates of upcoming ACT tests, as well as provides practice tests and other study materials. All seniors are encouraged to fill out a fee waver in the counselor’s office to take the ACT test once for free, sponsored by Gear-Up. Upcoming registration deadlines for ACT are November 3rd for the December 9th test, January 12th for the February 10th test, March 9th for the April 14th test, and June 15th for the July 14th test.